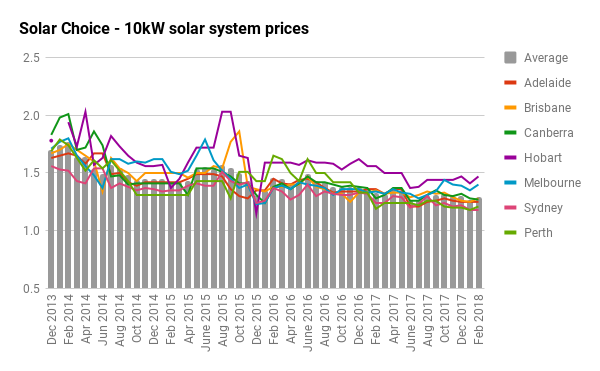 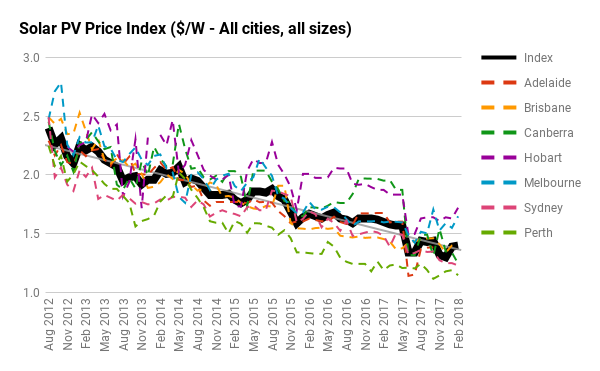 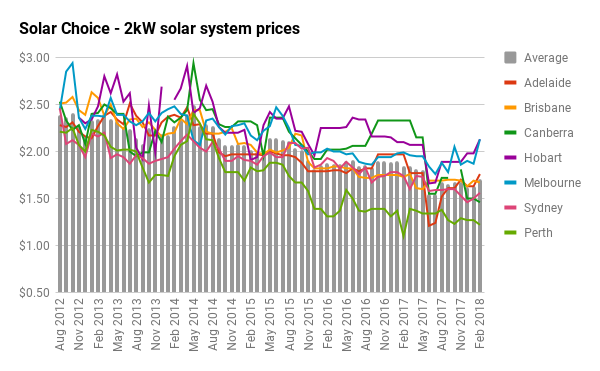 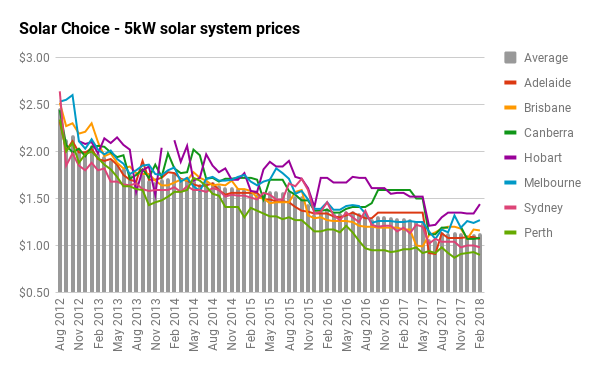 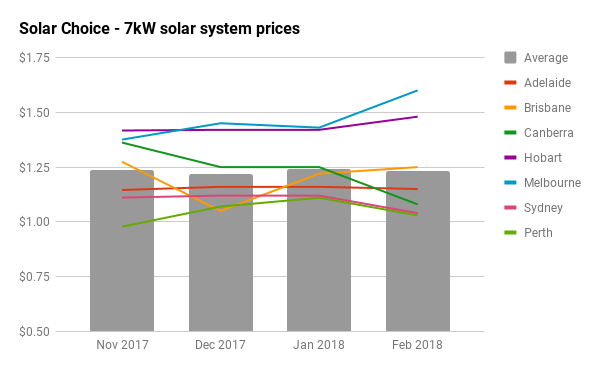 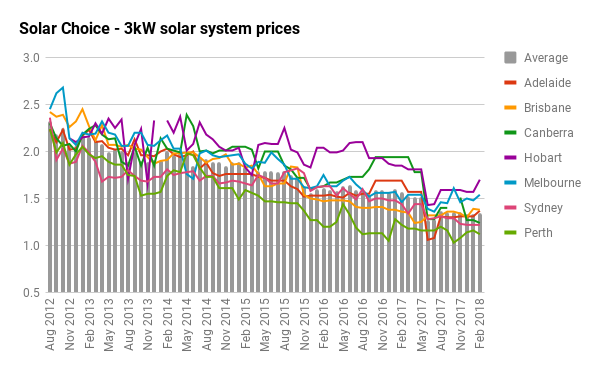 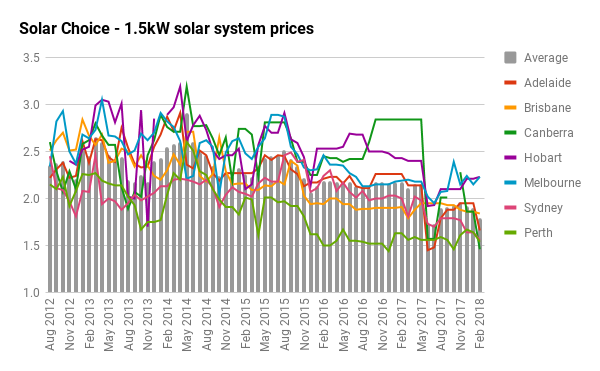 Average solar system prices (on ‘primary’ offerings) have slipped slightly upwards since the beginning of the year, coming in at around $1.40/W – as opposed to about $1.30/W in December – due primarily to increased prices in Hobart & Melbourne. 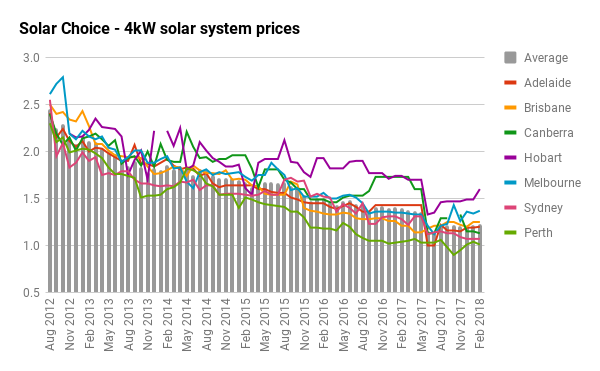 Average pricing for ‘premium’ and ‘microinverter’ systems, meanwhile, has dropped to $1.49/W and $1.80/W, respectively. 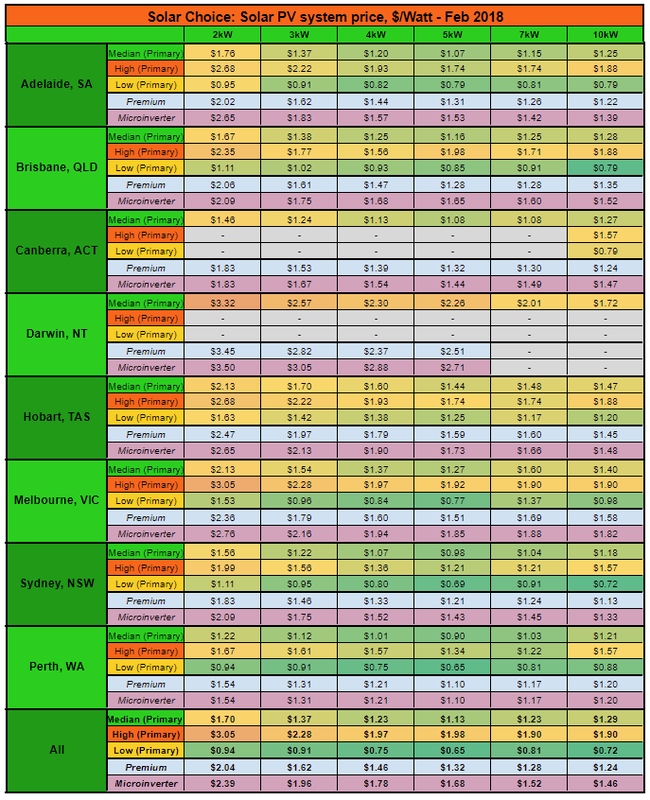 Previous post: How does maximum power point tracking (MPPT) work?